Home Asia What to do in One Day in St. Petersburg Russia? Have you been to Russia before? If not, St. Petersburg is a great city to explore. It can be the starting point for your bigger trip to explore more of Russia or you can go on a short city trip. Although you can easily spend 4 or 5 days in and around St. Petersburg, you might find yourself pressed for time. What to do in one day in St. Petersburg? What to do in St. Petersburg in 1 day? When I started the Trans-Mongolian Railway, across Russia towards Beijing, I wanted to start my trip in St. Petersburg. Pressed for time, I only had one evening and a full day in the city, because our train to Moscow left at 11 pm. Check my blog on do’s and don’t in Moscow for first-time travelers. Here are my tips on what to do when you have one day in St. Petersburg. You can find the points mentioned below on this map. As you can see, the center of St. Petersburg is very compact and can be easily explored on foot. What did you do when you were in St. Petersburg? Let me know! The Nevsky Prospect is the main street crossing St. Petersburg and it’s a busy road. It runs from the Admiralty towards the Neva river next to the Hermitage. All big and important hotels and houses are situated either on the left side or the right side of the street. There is plenty of shopping to do here and you can enjoy yourself strolling from one big house to the other. We started somewhere half way and walked towards the Neva river. I was impressed with all the baroque houses and we’re spent some time in a coffee bar, just looking at all the people passing by. The Kazan Cathedral is also known as Cathedral of Our Lady of Kazan, and it’s a Russian Orthodox Church. It’s situated right on the Nevsky Prospect, you cannot miss it. It’s an impressive big structure where the colonnade encircles the garden with a fountain. This is a great first stop for the day. The Kazan Cathedral reminded me a little bit of the famous St. Peter’s square in Rome, with its round colonnade. After seeing the Kazan Cathedral, you leave the Nevsky Prospect and follow the Kanal Griboyedova to the right. You then encounter the famous icon of St. Petersburg, the Church of the Savior on Blood. It was built around1900 in romantic nationalistic style and is similar to the famous St. Basils Cathedral in Moscow. Its main feature is the 7,500 square meters of colorful mosaics, covering the church all over. The closer you get, the more impressive it is. I was really amazed by all the details of this church. The brick is quite dark but the lovely bright colors really set it apart from any other church I’ve seen until thus far. If you wonder what to do in St. Petersburg in 1 day than this church should be on the top of your list! Don’t waste any time and buy your skip-the-line-tickets in advance here. 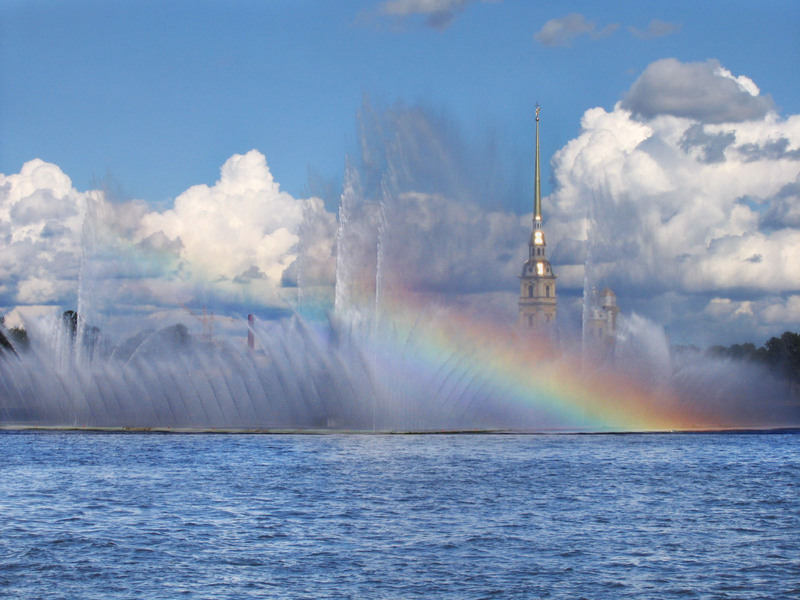 Read more about the beauty of St. Petersburg from the Unusual Traveler. When you walk back to the Nevsky Prospect and follow the street towards the river, you will find Saint Isaac’s Cathedral on your left. This is the largest Russian Orthodox Church in St. Petersburg and the 4th largest cathedral in the world. Its main gold dome is noticeable from a far distant and it was an inspiration for the US Capitol dome. You can climb up to the colonnade and have a magnificent view of St. Petersburg. You can also buy your ticket to visit the Cathedral of Saint Isaac in advance, here. Now walking back towards the Nevsky Prospect, you have almost reached the end of the main street. You can see the Neva river, but in front of you is the gigantic and iconic Winter Palace with the famous Hermitage museum inside. The Hermitage houses one of the largest collections of paintings in the world but seeing you only have one day in St. Petersburg, I recommend you return another day to visit the museum. In case you do want to visit the Hermitage and you do not mind to spend your only day in the museum, you can get tickets for 600 RUB, but Thursday’s the entrance is free. See the official Hermitage website for more information or buy your time-saving skip-the-line tickets for the Hermitage here. Famous Hermitage Museum in St. Petersburg, one of the largest collections of paintings in the world. You can walk around the Hermitage and follow the banks of the Neva river. There are plenty of things to see, but stay clear from the people who let their beers dance for a small fee. This is plain animal abuse and I wouldn’t recommend this type of entertainment. There are many bridges but I’d recommend the bridge left of the Hermitage because then you have a lovely view on the back side of the Hermitage. If you have time on your one day in St. Petersburg, you can check out one of the tour boats docked at the Neva river to see the city from the waterside. By now, your feet are probably getting sore and you need a rest. Leave the busy streets of St. Petersburg and continue walking until you are at Zayachy Island. This is a great place to hang around for a bit and see Peter and Paul’s fortress. Here, a cannon shot is fired every day at noon. You can also relax a bit in front of Peter and Paul’s Cathedral, the oldest landmark in St. Petersburg. I really enjoyed the little Island. It wasn’t as crowded as the rest of the city and the small piece of land had its own atmosphere. By now, you have walked over a 100 miles and you might want to take a break from the walking. St. Petersburg is a great city to explore on foot, but also incorporates a vast and convenient metro network. The metro stations are built in typical Soviet style and are decorated with chandeliers, paintings, and wall paintings. What a great way to travel! A visit to St. Petersburg isn’t complete without getting lost in the elaborate and gorgeous metro stations. One extra tip: if you stay underground, you can travel as long as you want to. Once you go up and leave the subway, you need another ticket to re-enter. Want to see more of the St. Petersburg metro on your 1 day itinerary? Take a 2-hour Metro Station Tour! St. Petersburg is a modern city and it’s called the Paris of Russia for a reason. You can wander around the shopping malls in the evening when everything is lit up romantically. You can go out in one of the many Russian restaurants, serving borscht or eat some blinis. For more foodie inspiration, find some excellent restaurant tips for St. Petersburg. When you’re up for it, you can always try to get tickets for the Saint Petersburg Philharmonia where you can marvel at the splendor of the famous Bolshoi Hall. Dead set on seeing the ballet in St. Petersburg? Book your tickets easily ahead for the Mariinsky Theatre here or the Swan lake here. And there you have it, my tips on things to do in 1 day in St. Petersburg. I think I have spent my one day in St. Petersburg to the maximum. It was a full and busy day and I hope to return one day, to see all the things I have missed. Check out the city trip to St. Petersburg guide. 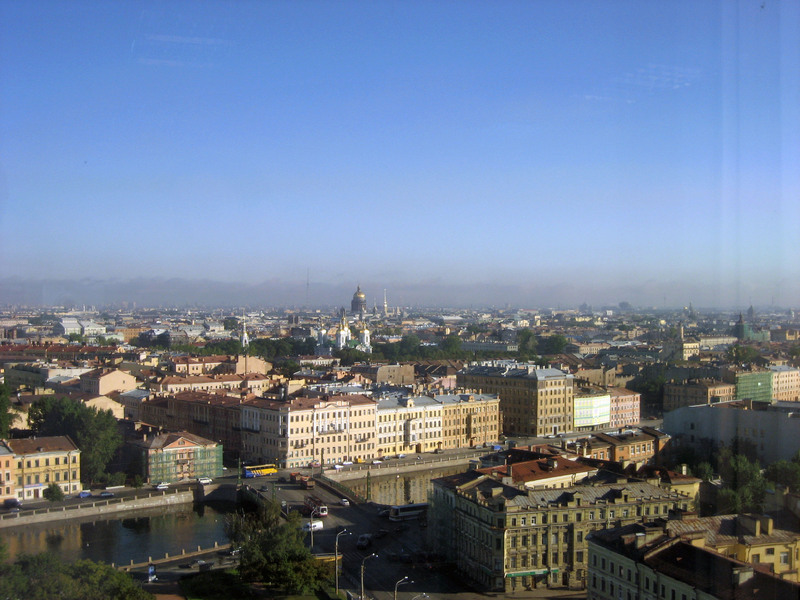 Have you been to St. Petersburg? What did you like best about this city? What did you do in St. Petersburg? Leave a comment in the comment section below! You’ve got all the best attractions in the city center! I would only add to visit one of the ryumochnaya’s – I specifically really liked a Ryumochnaya on Pushkinskaya Street. A very authentic place. In summer you should definitely visit Petrograd, the summer house and gardens of Peter the Great. And take a boat ride on the many canals St.Petersburg has. Thanks Chantal. I think all the summer houses and castles around St. Petersburg are very interesting. Maybe one day I’ll go back and also visit the Hermitage.